I finally finished the Vintage Glitter Cloche! The bottle brush trees were a success the second time around and I was careful to not leave them in the bleach solution too long. Also, better quality bottle brush trees fared much better than cheap ones. The pale, winter scene designed by Debbie and Shea of A Gilded Life reminded me of a Russian winter. So I carved a turret from a wood ball to place on top. 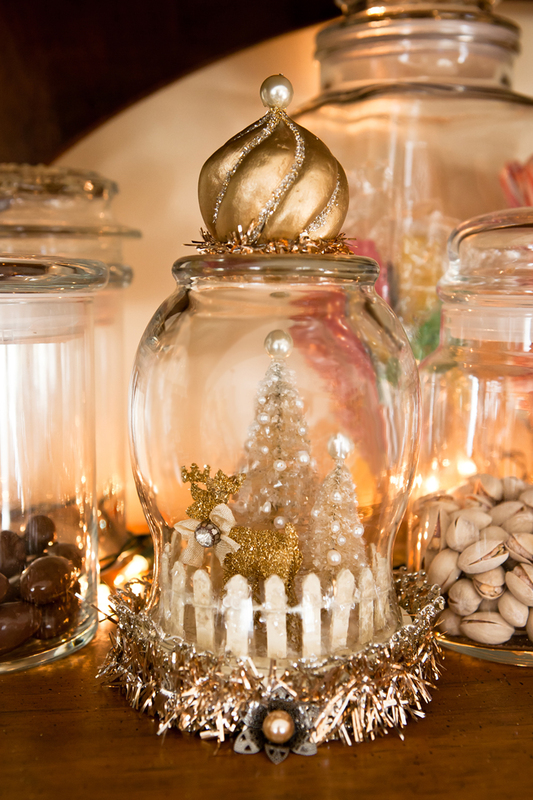 This scene in a jar fits nicely amongst the candy jars on the shelf in the dining room.